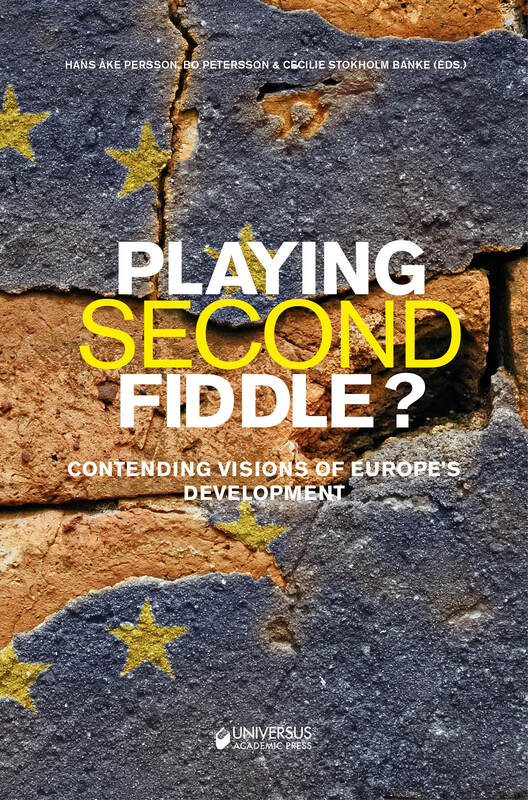 This book poses the inconvenient question whether he European Union has become a secondary actor on the global arena, or whether it has perhaps for a long time already been playing second fiddle without wishing to admit it. What indicators would today, after a prolonged economic and socio-political crisis in the Eurozone, imply that the EU can challenge the United States, China, or for that matter Russia, and take a position as a true global powerhouse? Has the train already left the station for what is still a very unique experiment, the European Union? Four different visions of Europes’s future are discussed in the book, namely, Europe as a promise, a bogeyman, a contested ideal and an anachronism. The book features contributions by ten scholars representing six European countries and displays a careful blend of well established and junior academic writers in the field. Hans-Åke Persson, Bo Petersson & Cecilie Stokholm Banke – (Foreword) Playing second fiddle? ; Anders Hellström – Europe’s Bogeyman: Europeanization of Nationalism; Hans-Åke Persson – Europe – the Promised Land. Spaces of Experience and Horizons of Expectation at the Turn of the Millennium 1990–2000; Marco Zoppi – Shrinking Futures Ahead? Debating Citizenship, Social Rights and Solidarity in the EU; Magdalena Góra – Contesting EU enlargement. The view from the European Parliament after 2004; Anne Wæhrens – How to create a European Memory – how to unite East an West? ; Christian Axboe Nielsen – From Nightmare to Pragmatic Partnership: Serbia and the EU; Giray Sadık – Paving the Way for EU as a Global Actor Anachronism: Turks’, Growing Euroskepticism and Turkey’s Eurasian Quest; Cecilie Felicia Stokholm Banke & Bo Petersson; Ukraine and the disenchantment of Europe; Sergei Prozorov – Reclaiming European Universalism: What does the ‘promised land’ really promise?